"We are the Rangers. We walk in the dark places no others will enter. We stand on the bridge, and no one may pass. We live for the One, we die for the One." A group of heroes of all personalities. The Rangers are an elite fighting force. They are the means to create the peace; patrolling the realm of Godville. They are taught delight, respect, and compassion. They learn that for one's actions to be pure they must proceed from determination, patience, direction, and strength. You can only join a guild once your hero had reached Level 12. You now have the option to either let your hero join a guild on his or her own, or use the Voice of god. To have your hero join the Rangers, input the command "Join the Rangers Guild" . In any event that your hero did not immediately listen to this command, you can repeat the command after 30 seconds. If your hero is questing to join another guild, input the command "Cancel Quest" . Again, if your hero desisted the command, you can try again the command after 30 seconds. Once your hero has reached the rank of Cardinal, your hero will not try to leave the Rangers guild anymore unless you command him or her to join another guild. Ignoring or neglecting your hero for 28 days will prompt your hero to leave the guild, regardless of the rank (meaning this also applies to Cardinals and succeeding ranks). Access to the doctors that are sponsoring the guild, resulting in faster healing. Special discounts in certain shops, where heroes can purchase cheaper equipment. Random gifts such as artifacts or gold from establishments sponsored by the guild or from other fellow members. 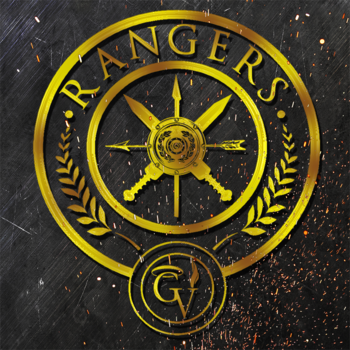 The Rangers, like other guilds, had a hierarchy. A member's rank becomes higher and they are rewarded with certain benefits the longer they stayed. Recruits can join in the Guild Council. Chief Masters can contribute into bolstering the guild's duelry ranking. Your hero will stop trying to leave the Rangers unless commanded by their god or goddess to do so. You are now allowed to participate in the guild elections to vote for a new leader, or-- should the need arise-- to impeach the incumbent leader. Your hero will gain a Careerist achievement, 3rd rank, if the Rangers is their first Guild. Heroes will gain a 2nd rank Careerist achievement if they reached Cardinal rank in their 2nd Guild. A Careerist, 1st rank achievement will be accumulated after reaching the Cardinal rank in three guilds. Hierarchs and succeeding ranks are considered eligible to run for Guild Leaders. Ranger is the highest rank of the guild, though heroes of gods of this rank may still leave the guild should their god neglect them for 28 days. The High-level rank is chosen by the incumbent guild leader, and can be changed by the leader at will. Every guild is allocated a Guild Council, where the members of the Rangers can interact with other. Every member is expected to show respect to one another, and to uphold values that are expected from every Godville player. This page was last edited on 3 May 2016, at 10:28.